Every year, thousands of people suffer accidents and ill-health at work – much of which can be easily avoided. 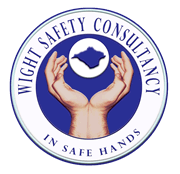 At Wight Safety Consultancy we firmly believe that health and safety in the workplace is an issue for everyone and that no workplace is entirely risk free, that’s why businesses across the Isle of Wight choose to work with us to make sure that the potential for accidents at work for staff and the public is eliminated or minimised. With over 15 years experience we have an established reputation in relation to all aspects of Health and Safety, Fire and Risk Assessment in the workplace. As you would expect, we continue to develop and refine our services to respond to changing legislation and management practices. At Wight Safety we work with businesses across the Isle of Wight to eliminate or reduce the potential for accidents at work. We work with companies in all sectors, this is a little of what they have to say about us at Wight Safety Consultancy. Find out more about how we can work with you to support your commitment to health, safety and fire risks in your business.